Glass lens. Moulded body. Coated steel surround. 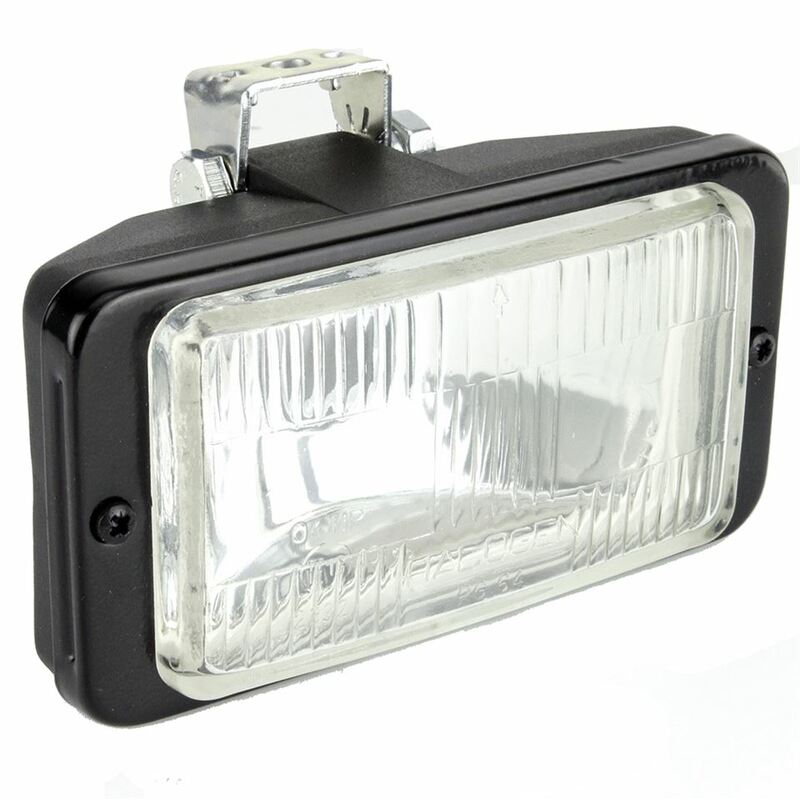 12 Volt, H3 55 Watt bulbs and mounting bolts included. Fits our 5.8mm wide arms. Overall dimensions 260mm x 81mm x 14mm.